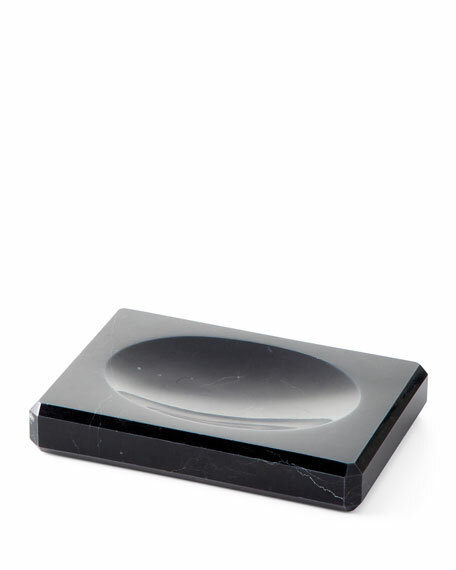 Pump dispenser made of black marble. 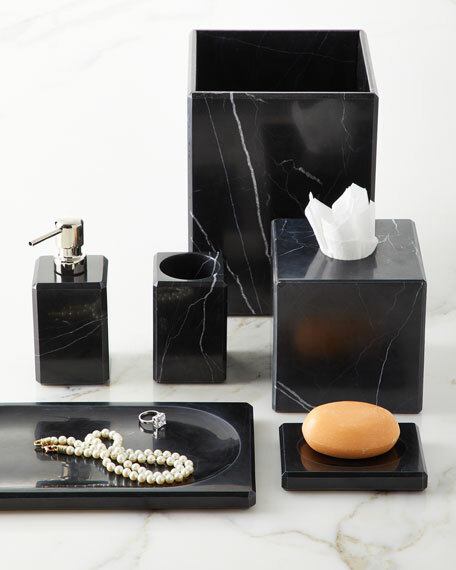 Tumbler made of black marble. 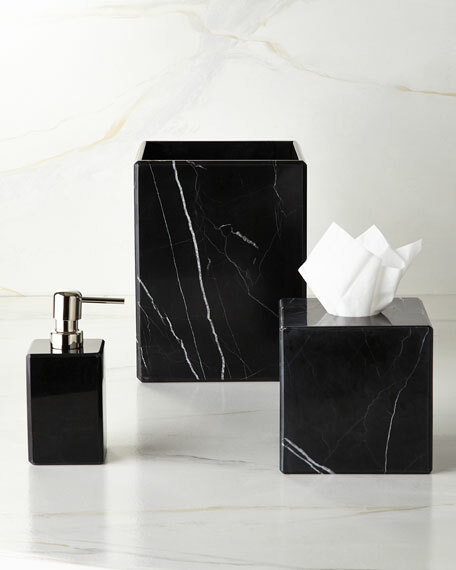 Tissue box cover made of black marble. 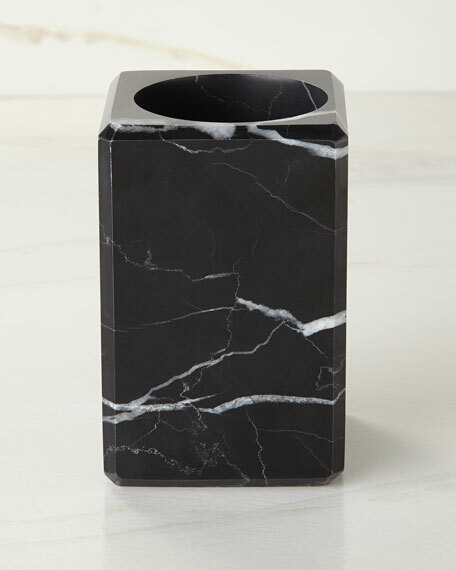 Wastebasket made of black marble. 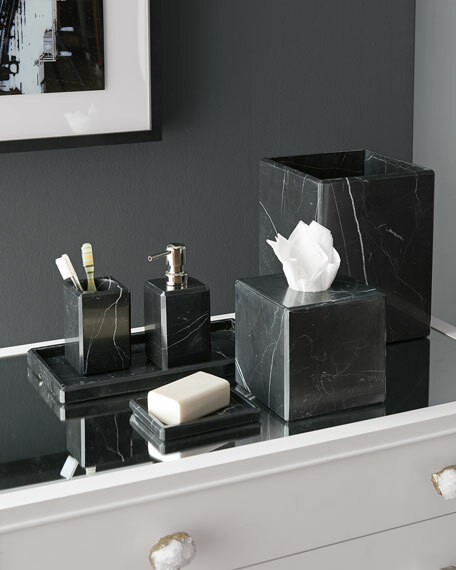 Vanity tray made of black marble. 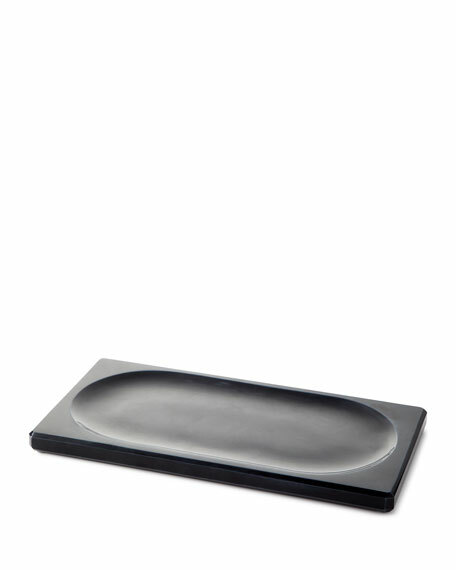 Approximately 12.5"L x 6.25"W x 1"T.